A company’s brand is one of the single most valuable asset. Your brand image can grow faster than any number on your bank sheet and today it is the biggest asset for any fortune 500 company. For an SME, brand image usually takes a back seat, as day to day issues and operational aspects take precedence. This is one of the biggest follies that companies with myopic vision fall prey to. The brand image is the beacon that lets a company stand apart in todays market space, allowing customers, employees and vendors alike to be attracted instantly. Its an emotional bond that instantly builds a bridge and grows consistently to loyalty. In today’s fast growing market place in emerging countries, with the influx of multiple global brands that seek the attention of your customer, its the brand image that binds them emotionally. Its the bond that ensures your clients ignore the seduction of better price, quality, packages or add ons. Every SME dreams of one day evolving into a Coca Cola, a Starbucks, a Nike or Apple. Becoming household names over decades and being entrenched in the everyday lives of our customers. Even a B2B business needs a strong brand image to attract the right partners, suppliers and even financial institutions that understand effortlessly what the company stands for and its defining purpose for existence. For an SME, the journey to build a brand image that connects and endures need not be an uphill task if you gets the basics right. Its not just the advertising budget that defines the brand image. Rather, it is the basic principles and foundation upon which the company itself is built. This holds true for a FMCG, a service company, an individual, a manufacturer, real estate company, a government or even a country. Here are some simple rules to get started without spending big bucks. These 10 rules will help define and build a brand image for your company. In every business, if you don’t have a differentiated advantage over the competitor, chances are you will shut down soon or you have hit a glass ceiling. If you are growing successfully, then you have a differentiation and a unique way of doing business, but haven’t defined it. It may be the integrity with which you do business, it may be the process you follow or even something as simple as the unique skills of the employees you have. Having a unique selling proposition immediately sets you apart and makes the connect with the customer so much easier. It’s paramount that you know exactly why your consumer wants to do business with you. On a continuing basis, conversations, observations, discussions or research will allow you to know whats going on inside your consumer’s mind. Without this knowledge, you will never know whats their trigger and what the emotion you possess within their mind. The best brands have always reinvented themselves with the mindset of their customers, and those that failed are the ones that chose not to listen. Basis this knowledge you are constantly positioning and then repositioning your brand in their mind. A brand is born when you know what you stand for. Every brand has a DNA like a living organism, it has a personality which you build and breathe life to. Your brand has an age and characteristics. You could be youthful, fun loving, hospitable, caring and an extrovert if you are a cafe for example. Then, every manifestation of the brand has to live this DNA. The music, smell, the way your employees answer the phone, the colors, website, tone of communication and a hundred other aspects all live this DNA. The most effective way to build brand image is to delight your customers so much that they become evangelists of your products or service. The simple old school business rule of “under promising and over delivering” is tweaked to “promising and delivering way beyond expectations”. If every department and function has the laser focus to delighting customers and the company is consistently wowing them and bowling them off their feet, ignore all other points in this article! The first step to delighting the customer is to be able to know their end objective and most important reason for buying your brand. Then, its mapping the consumer’s decision making process, concerns and issues and installing systems to exceed expectations incrementally such that the experience as a whole is a whopping delight! Only when the experience exceeds their functions requirements and borders on delight, will real brand loyalty be born. This experience has to manifest even within departments like accounts, finance, administration or human resource, not just marketing and sales. Create reasons to connect with your customers regularly. A brand needs to be on top of mind always. Inform customers about new activities, products, services and your victories. Many of them may not even know what all you are doing now. Build events and information sharing and invite them to celebrate in your successes. Newsletters need to be exciting and interesting enough so it doesn’t reach the junk box as fast as they arrive. With the advent and acceptance of social media across age groups and demographics, media has suddenly become democratic. With the smart use of the right mediums for the right business, one could exponentially grow their visibility at almost minimal costs. So many businesses that have grown at the speed of light today attribute much of their success to being to connect directly with their consumers directly. Its important to work out a strategy and the brand voice on social media before diving into it and sinking. Clear objectives need to be assigned and responsibilities. Social media can hurt a brand faster than any medium in the past because of the lack of control on whats said and spoken. Its as important to have in your ammo fire fighting tools and methods predefined to combat an attack on your brand. With the use of Facebook pages, an SME can connect and speak to their consumers, the specific demographics can be mapped and the business can monitor the visibility very closely. Twitter, Pinterest, Instagram, blogs etc all give voice and a face to the brand and can be used as catalysts to help consumers fall in love with your brand. Linked In can assist building bridges for the brand with prospective employees and decision makers. The best way to build a brand image is to create brand ambassadors who will expound the virtues of your product and service. Every individual that a company connects with have the potential of becoming a brand ambassador. Happy employees who won’t devalue the brand no matter what. Even employees who leave the company should leave happily and remain ambassadors. Vendors, suppliers, bankers and competition can all be brand ambassadors. If other people can speak about your brand and its values its a million times the effect of you shouting it from the rooftops. One of the biggest pitfalls for an SME is to deviate from their core competency and strength. The more SMEs have a chief definitive aim and chase excellence in getting better at that, helps evolve a brand image of success. If the effort of an organization is to excel and have a mindset to continually improve with the focus of becoming the best at their industry, their brand will automatically sky rocket. Diversification and forward integration should emerge after conquering excellence and having a system to repeat that on an ongoing basis. Excellence is the biggest catalyst of brand success. Every brand should stand up for something and then become the voice for that which they hold most dearly. When the core team introspects they will find one or more key messages or words that springs up in multiple discussions. Innovation, empowerment, emerging markets, logistics, cloud computing or even employee welfare. Find these and use every opportunity to talk about it and associate your brand with them. Seminars, lectures, events and workshops all allow the company to build their image by what they say and do and become thought leaders in the field of their choice. Give interviews with your opinion on the cause, write articles, debate, research and implement innovations on your key cause. I am writing this article because our company has adopted branding for SMEs and growing home grown brands as our cause. We help local companies compete with MNCs and put everything behind this cause. For us, this is passion and our ongoing quest. We speak at seminars, conduct workshops and have created 100s of brands that have gone on to hold their own against global established ones. Point number 10 is yours to innovate and evolve because the most effective ideas are born from your own knowledge and capabilities. Branding is a continuos process of innovation, so commit from here on to innovating for your brand and instilling in the organization a culture of innovating in each and every department. Get ready for a brand that will soon be worth more than you have ever imagined! 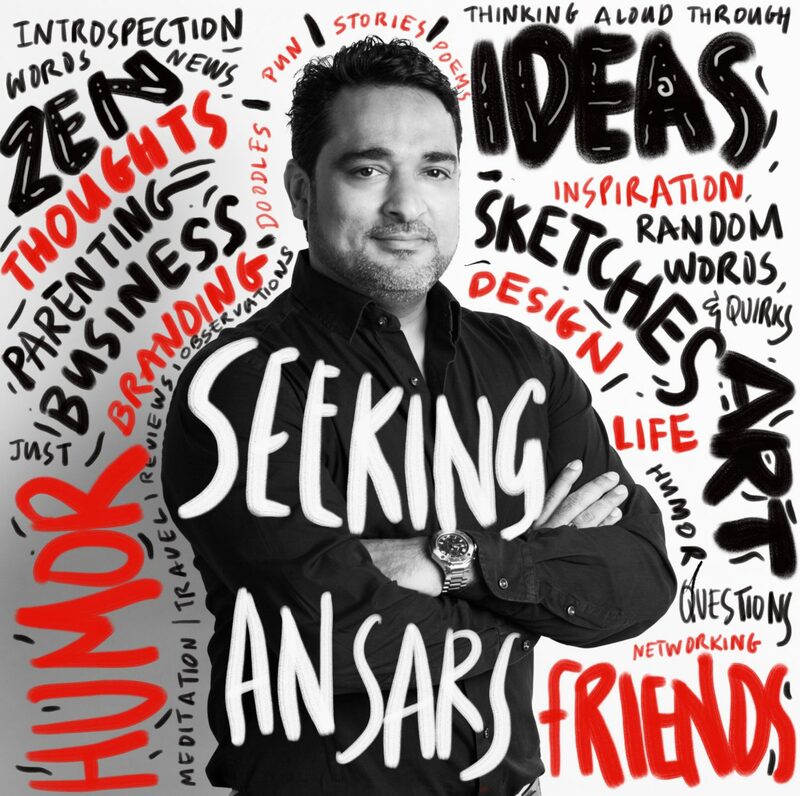 Sajith Ansar is the CEO and founder of Idea Spice. Idea Spice is a branding firm that specialises in helping creating and evolving home grown brands around the world. The company has created and reinvented over 1500 brands including startups, SMEs and countries. The journey. A poem on unravelling spirituality. Reblogged this on The MARKETING WORLD.